From Saturday evening, December 29th, 2018 to Saturday afternoon, January 5th, 2019. 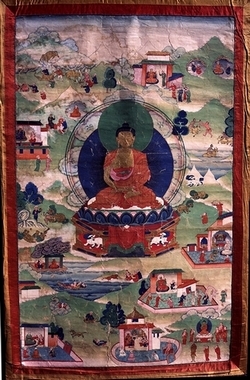 The meditation of The Great Symbol (Mahamudra) is the essential meditation on the true nature of mind. Meditation is taught in a progressive or direct way according to the capacity and progress of each participant. The physical posture, different meditation supports, as well as no support can be taught, depending on the aptitude of the participants. The instructions for this meditation are called direct and true. Actually, meditation is explained plainly and free of all symbolism.